So you think your child has a gift for writing? For stories? You think she hides an Agatha Christie or a Hemingway deep inside? Help her explore the writer within, and have a fun family vacation while you’re at it. 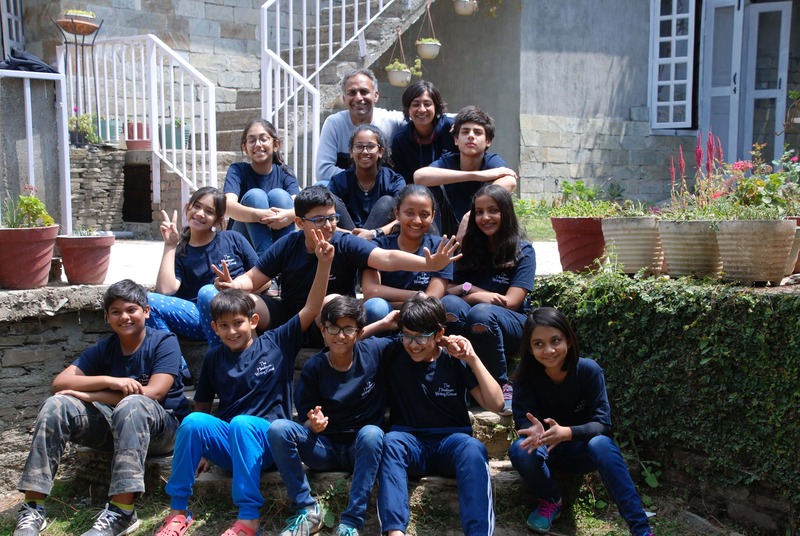 The Himalayan Writing Retreat is hosting the Kids Writing Retreat #3 from June 19-23, 2019. The first two were sold out and much enjoyed by the parents and kids. To participate, your kid(s) must be between 11 and 13 years of age, and accompanied by an adult. We only accept six family units. The Himalayan Writing Retreat is set amongst oak and fruit trees. May is when most fruits begin to ripen. The weather is nice (no fans are needed). The air is always clean. And the views are lovely. The workshop is fun for kids and adults, alike. As the grown ups relax, the kids express their creativity. They learn the framework for writing a good story or even a book. Writing sessions are mostly held in the mornings. The entire family then goes for fun forest hikes and walks, they pluck and eat organic fruit off the trees and enjoy picnics and bonfires. Arrive any time on June 19. You can take the train up here or drive. Please be aware that cars cannot come upto the property and parking is a short walk from the retreat. How much : INR 22,000 for each participant, and 12000 for each non-participating accompanying person. (Includes 4 nights stay, food, taxes, all sessions + certificate). How to attend : Pay 50% of the total fee now, and pay the balance one week before the workshop. Email any questions to chetan@himalayanwritingretreat.com . Only six family units accepted on a first-come first-serve basis. Click the "Book Now" button and pay 50% to secure your spot. ​Chetan Mahajan leads this workshop. 9 - 10 am - Picnic Breakfast on the Ridge. We walk up to a nearby ridge and have a picnic breakfast under pine trees (weather permitting). Parents can continue their walk on the ridge and visit the village temple. They can then head back to the retreat. You will be free after lunch in case you want to plan any local visits or sightseeing as a family. 4 30 pm - Walk up to Navin’s chai shop for Tea, Samosas & optional Shopping for hand made/locally made products at Kilmora (local NGO store). 7 pm - Sharing stories by the bonfire - all kids and adults have to be present. The kids will be reading aloud the stories that they have written. Certificates will be handed out. Note: We have planned walks every day which will be for the whole family. However, if you have difficulty walking you can opt out of the walks. Weather permitting we will be able to pluck fruits that are in season. We may organize bonfires on the first and last evening. Please also note that no alcohol is served during the retreat. However, you are free to bring your own.